Looking for a unique addition to that "all white" cut flower arrangement? 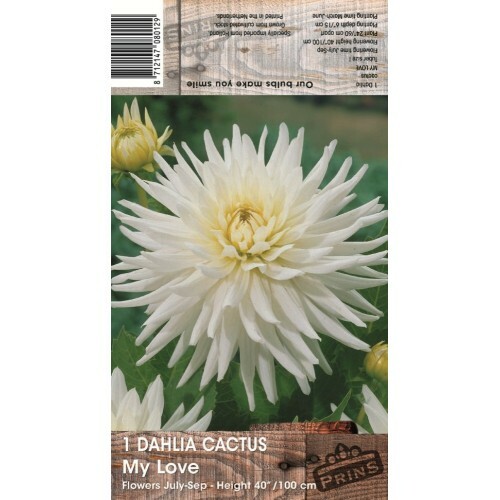 Why not try growing My Love Dahlias? These cactus dahlias bloom with a very delicate look in gleaming white and grow to 40" tall--perfect for your cutting or moonlit garden! Growing best in full sun, these dahlias work well in flower gardens as well as containers and will bloom from July to the first frost! Often used for Wedding Anniversaries!